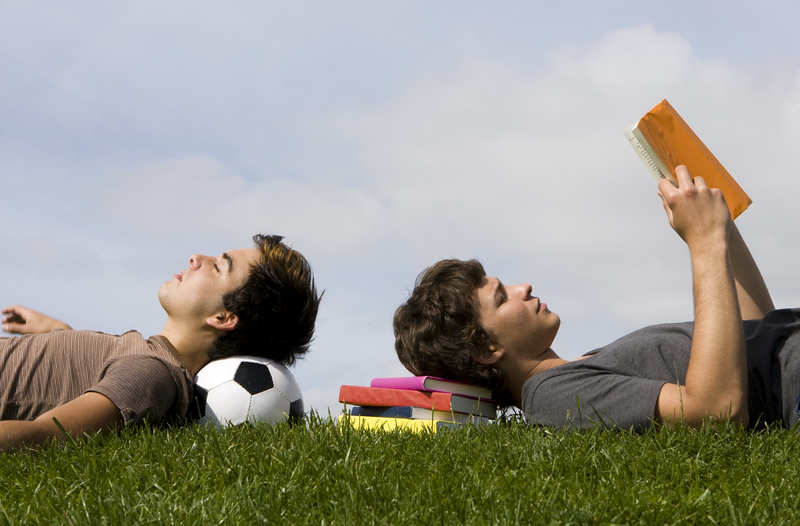 Do the dog days of summer have you wishing your kids would dog-ear the pages of a book? Have you fought over electronics enough already? This list is for sports-minded kids and nonathletes alike, as well as parents who appreciate the many life lessons that can be found within these reads. 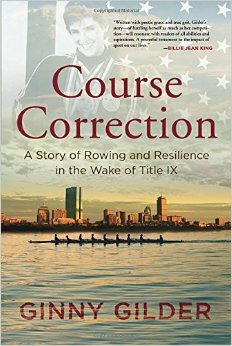 Known in these parts as a co-owner of the Seattle Storm basketball team, Ginny Gilder has recently released an autobiography that details her gritty, determined pursuit of success in elite women’s crew, and how that sport provided refuge from her troubled home life. Her story is raw; Gilder writes openly about her single-minded drive to achieve Olympic success despite physical limitations, the heartbreak over her broken family and her decades-long journey to, in her words, “live life on her own terms” as she embraces her sexual identity. Gilder came of age at Yale, one of the female athletes charting new waters after Title IX’s passage. Her university needed a push. While male rowers had top-notch facilities, the women were relegated to shivering-wet rides home from practice on cold buses, often suffering pneumonia and other ailments as a result. Teen girls will appreciate how Gilder and her teammates had to fight for respect, how she motivated herself to the point of near self-destruction, yet how, by virtue of her sheer resilience, she ultimately followed her passions to realize her Olympic medal dreams. “I believe in the transformational power of sports,” Gilder recently told a crowd at Seattle’s Town Hall. Course Correction may influence how children view their ability to control their own destiny, in sports or other arenas. If your kids want to read about the Seattle Seahawks’ championship seasons, Super Bowl XLVIII victory or favorite Hawks players, then this is not their book. But that is exactly why Win Forever is a fascinating read. In this book, originally published in 2010, coach Pete Carroll recalls the ups and downs in his life and career that built the foundation for his self-motivational philosophy, a vision he’s held tightly even before his success as the Seahawks head coach and executive vice president of operations. As a reader, one feels like the story is foreshadowing; Carroll’s oft-bumpy journey over decades sets the stage for his highly successful tenure here. A brief chapter has been added to the paperback version that includes Carroll’s first season in Seattle, and Marshawn Lynch’s 2011 Beast Quake run against the New Orleans Saints. 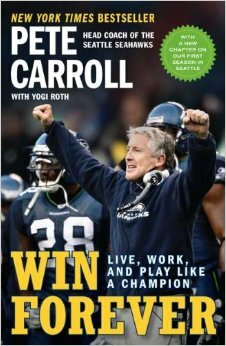 But nearly the entire Win Forever book is set before the Seahawks’ success, which, in fact, makes Carroll’s vision for competition and self-betterment even more genuine and inspirational. This is a book begging for a sequel — but wait, let’s let him win another Super Bowl first! Tired of hearing or reading about “mean girls”? Or perhaps worse, are you tired of your daughter dealing with difficult peer situations? The book is a nice counter to that. 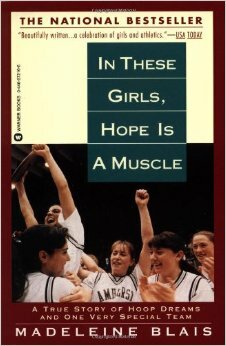 It’s the nonfiction account of a girls’ high school basketball team in Massachusetts that, in the early 1990s, moves beyond personalities and skill sets to become a powerhouse. Two of the girls are recognized superstars, others are not but still prove invaluable as the Lady Hurricanes of Amherst High School inspire each other all the way to a state title. Under the guidance of a coach who appreciates the difference in coaching girls versus boys — for example, the need to build confidence rather than manage egos — the successful friendships and respect of the players hold the key to the team’s success. Young people (and many adults, for that matter) treat running as training for a different sport, or maybe even punishment. This suspenseful story flips that notion on its head — in fact, you and your kids may well sprint out the door after reading it. The real-life characters in the book are a colorful mix, from the wacky American ultramarathoners to the Mexican Tarahumara Indians who carry on their centuries-old tradition of running hundreds of miles (injury-free, by the way). The two groups and cultures meet and compete in the mountains of Colorado and ultimately the steep, sweltering Copper Canyon in Mexico, where drug lords and grueling conditions set the stage for an epic showdown. 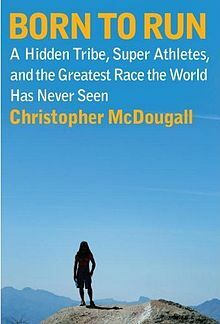 McDougall shares the traditions of these “Running Men,” as the Tarahumara are known, as well as the culture clash with the shoe mega-industry built by Nike. Born to Run will appeal to boys and girls. The final, grueling 50-mile competition tests the runners’ limits and possibly young readers’ notions of their own physical limitations. It’s not new, but this book about high school basketball players in Brooklyn just may change the way you and your kids think about college hoops and the NCAA’s March Madness. Published in 1994, the story of high school players from Coney Island’s basketball powerhouse Abraham Lincoln High School is told through the eyes of reporter Darcy Frey, who embeds with the group over the course of a school year. The Last Shot chronicles one player’s desperate, ultimately tragic effort to use basketball to escape the projects. Frey tells the early story of Stephon Marbury, the very rare case of a poor kid who makes good in the NBA. 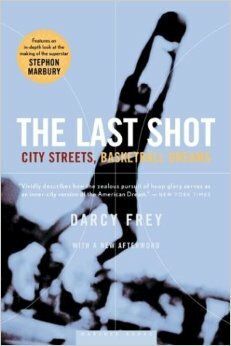 And Frey most poignantly sheds light on the industry of collegiate basketball, where promises are made and hopes are built up, only to be dashed; and a system where underserved urban schools routinely fail students yet celebrate those who achieve sports success. The ultimate in sports underdog stories and tales of teamwork, The Boys in the Boat has popularized the term “swing,” that perfect synchronicity of teammates competing in perfect harmony. It is the story of the University of Washington men’s crew team, which, in the throes of the Great Depression, wins a national championship and ultimately a gold medal in the 1936 Olympics. The varsity boat of eight rowers and the coxswain overcome personal hardship to defeat perennial rivals the Cal Bears, pedigreed East Coast teams and, against the odds, Adolf Hitler’s German boat. Readers will root for Joe Rantz, whose father and stepmother abandon him as a teenager to fend for himself. But young people also might learn from his amazing capacity for forgiveness. While he is thrust into the role of survivor, Rantz succeeds as an elite competitor by realizing the need to trust his teammates. Author Daniel J. Brown, who lives in the Seattle area, has won national acclaim, including holding the number-one spot this spring on The New York Times list for paperback nonfiction. During a recent local author talk, Brown and Joe Rantz’s daughter Judy spoke about the piqued interest of Hollywood moviemakers. Indeed, the story seems made for big-screen drama, but before then, tween and teen readers will find the book to be a page-turner. Looking for more summer reads?